A customer comes into your shop, orders a slice of carrot cake and pulls out their credit card. What do you do? Obvious: You run their card, print a receipt for them to sign, give them a number and send them on their way to await tasty baked goods. As a customer, this is a routine as familiar as brushing teeth. As a small business merchant, though, it’s a bit more complicated. Choosing the right point of sale system is an elementary decision, one which must be made in the earliest stages of any new business. Not only that, though: It’s one which older businesses must also consider, as legacy systems quickly become outdated and unsecured. Because point of sale systems are a critical part of any business’s initial setup and long-term operations, so you need to make sure you get the decision right. 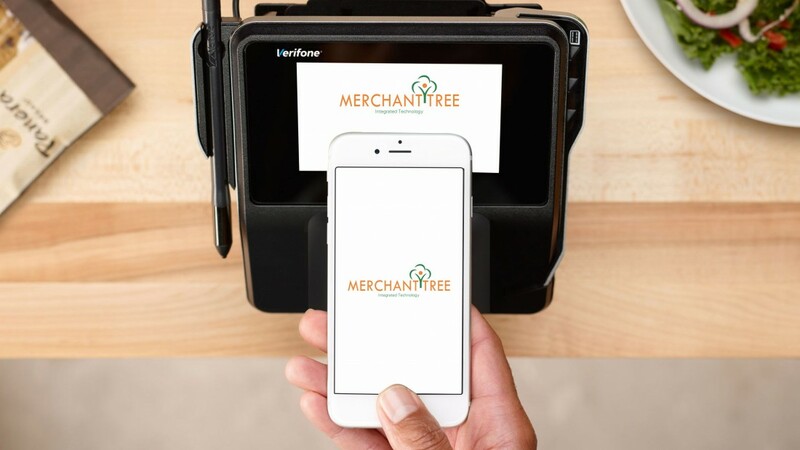 If you’re in the market for an all-in-one POS system that includes software and hardware, and integrates with a range of other features, Merchant Tree can help. Our point of sale systems for small business owners are endlessly flexible. We provide POS products and services in either one or multiple locations, as well as on ecommerce sites. Whether you’re in retail or the restaurant business, healthcare or another industry, you’ll find our systems comprehensive and easy to use. They create a streamlined customer experience, ensuring your patrons return again and again. Now you can manage your inventory, collect customer data, process credit cards, print receipts and manage your accounts more effectively than ever before. Our hardware systems ensure that your POS station is completely outfitted to entire items into your inventory, scan purchases, and ring up transactions with efficiency. Our software solutions complement the hardware perfectly, allowing you to track inventory and generate reports to make restocking and analysis simpler than ever. What sets Merchant Tree apart from the rest is our powerful and flexible point-of-sale system which allows businesses to speed up the checkout process. Even in stores, some tasks are more important than others. You can create custom buttons on your POS system, making it easier for the customer to checkout after they have made a sale. With our point-of-sale software you can add new products easily or replace best selling products with ease so your inventory is always full of the products your customers love. Our POS system also makes it easier to find products or customers. All you have to do is enter the relevant keyword or use a bar code scanner. Sometimes you need to add sales notes on line items that will appear on the receipts about important information such as instructions, discounts etc. Our POS system makes it easier to add notes which can be viewed by the customers. You can add discounts where required with our POS system. These discounts can be added to specific items in your inventory or to the customer’s basket. You can easily customize customer receipts and add in your company’s logo and website address. Choose from a number of templates for your receipt and choose from a list of languages to get the receipt design that suits your e-commerce website best. Merchant Tree’s POS hardware includes the full suite, easily customized to meet your business’s needs. Whether you’re looking for a receipt printer, cash drawer, card scanner, pin pad, scanner or any other tool, just ask. Our software is endlessly flexible, integrating with software such as QuickBooks or providing bookkeeping functionality itself. It’s a complete replacement for PayPal, and scales number of users infinitely without costing more. We charge only a monthly fee with a standard percentage of sale; never more. Additionally, you now have the freedom to track employees, manage cash, create buttons, speed checkout, make notes, add discounts and more. Whether you’re looking for a retail point of sale, restaurant system or another setup, let Merchant Tree Help. We’re more than experienced in this business: We are expert. You can call us (800) 610-3922 or to contact us today to learn more.